Early Bird skis are made for the most part of FSC certified wood. By using 100% natural flax fibres and bio-based epoxy, the scenario for a lower environmental impact and strong technical performance is optimised.We are very happy to welcome back Early Bird to our Showcase at ISPO 2019 on products made from bio-based materials. If you would like to hear more about Early Bird Skis join us on Monday the 4th of February at 11 am at our GRV Guided Transparency Tour, Hall A4, CSR hub. Of course skis don’t biodegrade- yet. But since we buy skis to enjoy our time in the mountains and not to eventually throw them on our compost heap, longevity and resistance has a positive influence on the environmental balance. 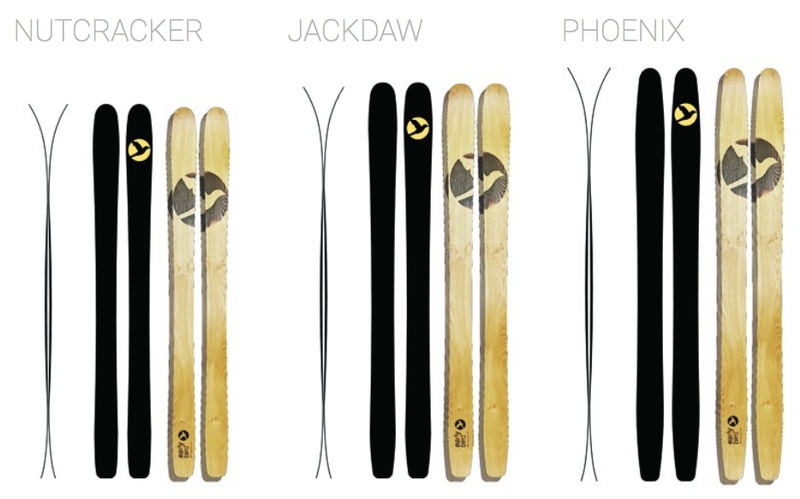 Besides this, the new version the JACKDAW redefines what a free-touring ski should be! 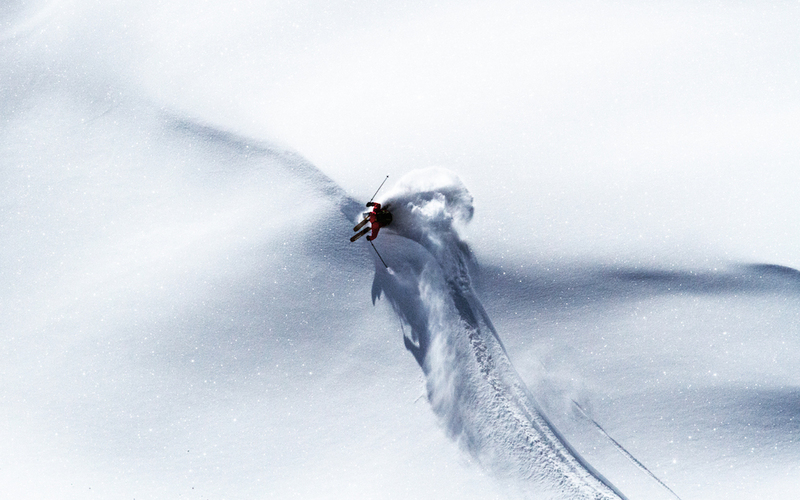 A lightweight construction, with all the characteristics of a freeride oriented downhill ski . The medium freeride width allows the JACKDAW to float up easily in deep snow. Thanks to the construction with tip&tail rocker and taper and a perfect balanced flex, the JACKDAW offers good control on hard snow and a playful character in powder conditions. Early Bird offers three different well balanced shapes for different purposes, but all with the same layup-construction: the ECO PERFORMANCE LAYUP combines FSC sourced wood cores, 100% natural flax fibres combined with carbon stringers for a perfect flex balance, bio-based epoxy resin with lower environmental impact, PTEX race base made from recycled material, wooden sidewalls and top sheets, oil finish and branded logos. The Bcomp flax Early Bird uses has similar properties to carbon, but in contrast it offers much better damping properties and is 100% a natural product. Early Bird reduces the use of carbon to an absolutely technically necessary minimum, as a sensible supplement to the natural materials. The carbon stringers used increase the lifetime of the skis and thus have a positive influence on the overall ecological balance. The epoxy resin used is largely bio-based and has a smaller ecological footprint than comparable standard systems. 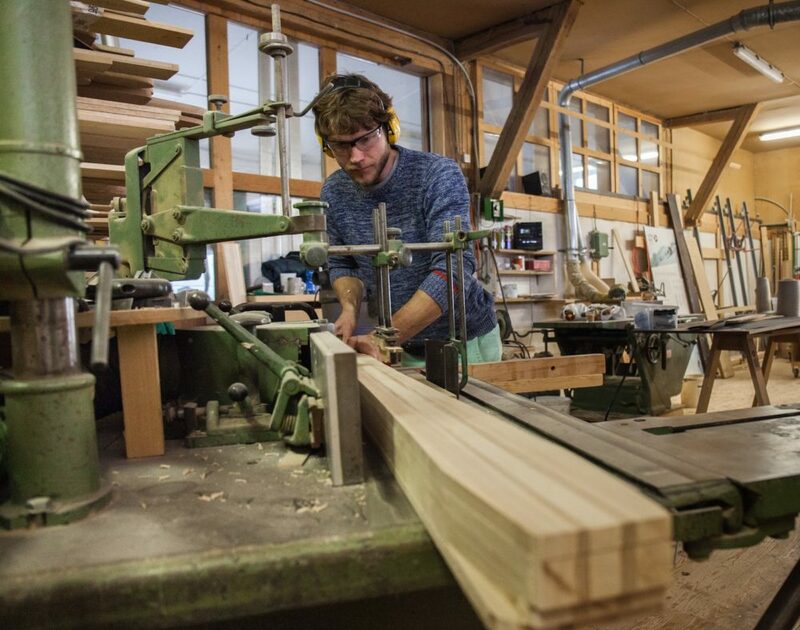 Early Birds skis combines the latest eco-responsible raw materials to build skis at highest performance. We combine a super light FSC certified wood core, ultra strong wooden sidewalls, a high amount of natural flax-fibres combined with a minimised content of carbon, a bio-based epoxy resin and a sintered graphit race base made with recycled raw materials and we use a 100% bio-based ski wax. The top-sheet is made out of robinia veneer, all logos are branded. The finish is made with a two-component natural oil. 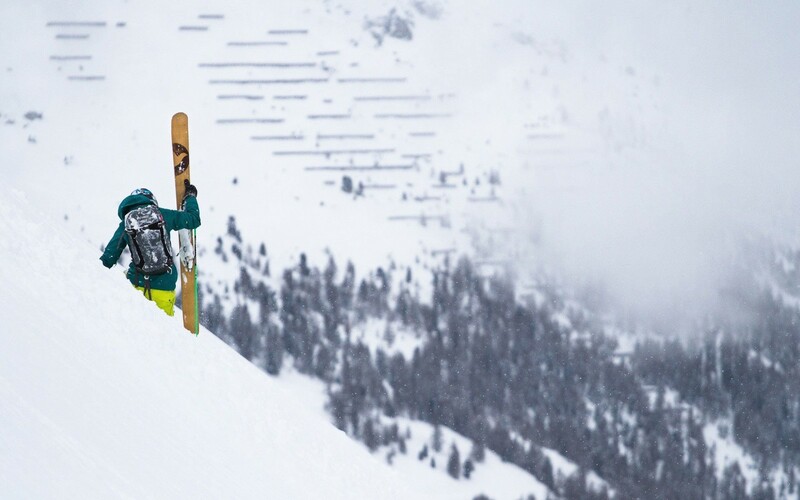 The company was founded in 2014 by passionate freeskier and engineer Hanno Schwab in Bern, Switzerland. The brandname came from the idea to be the pioneer in sustainable ski engineering and to be the first to get on the mountain and catch a big line. With great support and help of friends and supporting partners, we build the best performing, most sustainable skis on the market! 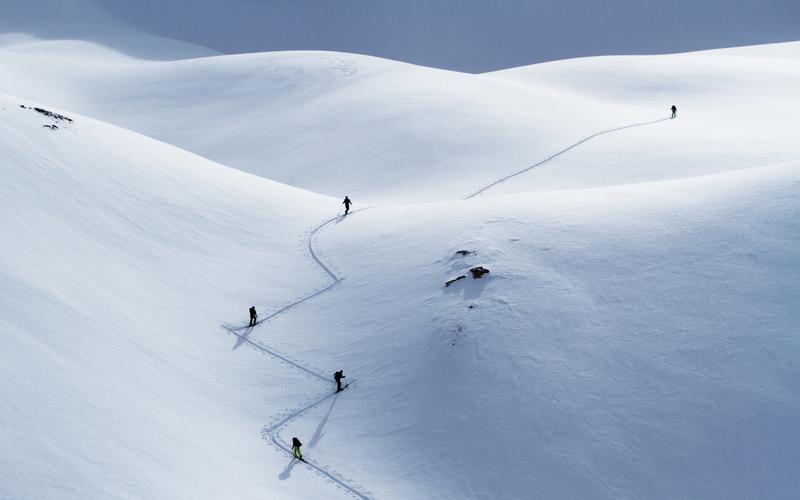 The ISPO GOLD AWARD 2015 in the category ski touring skis speaks for itself.